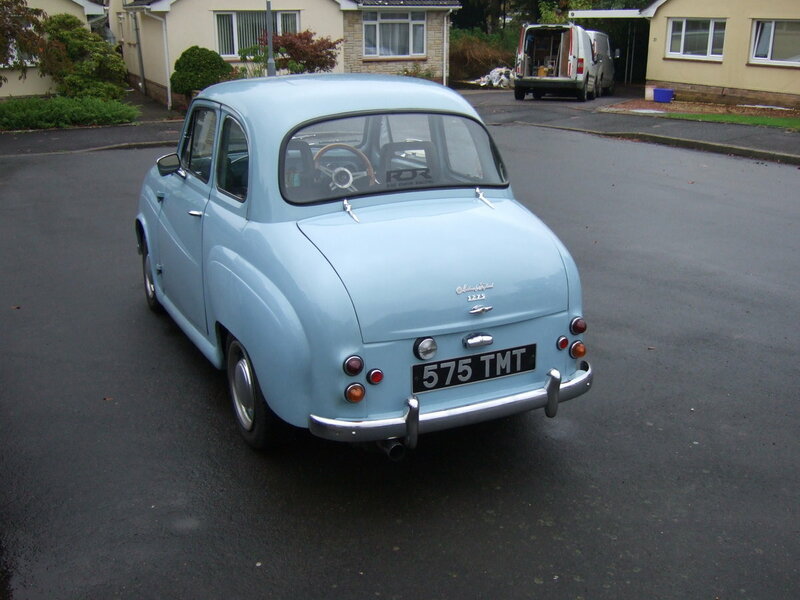 For sale is my turbocharged/Intercooled Austin A35. 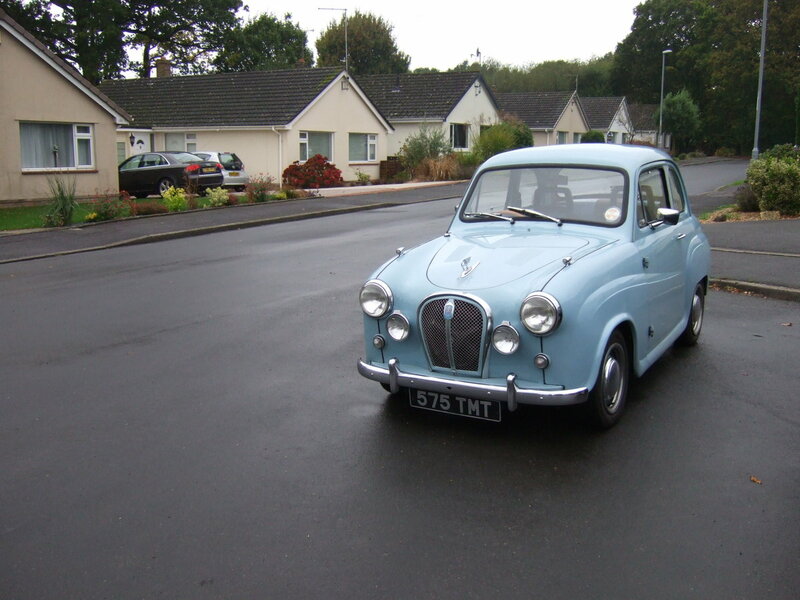 This car has been developed by mainly by the last owner since 1980. 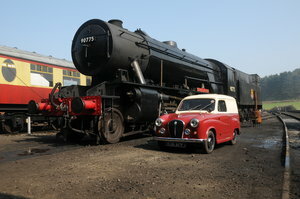 It was first fitted with a 1275 MG Midget engine, gearbox, front suspension and brakes. 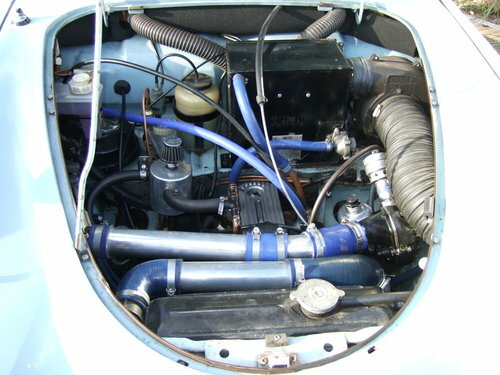 Following on from this the engine was developed to what it is now, which is still a 1275cc MG Midget engine turbocharged/Intercooled and running a GT1725 Saab turbo with the boost currently set at 16 psi, Sierra type 9 5 speed gearbox, 3.7 diff, competition 2 piece shafts, Megajolt distributor-less fully mapped ignition system, 400 lb inch front springs, telescopic dampers all round. 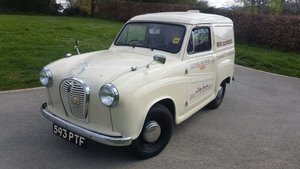 Frontline front suspension, MG Metro 4 pot calipers and vented discs, Yellow stuff pads, MG metro pedal box twin circuit servo assisted brakes including brake/clutch master cylinders along with fully hydraulic rear brakes with Minifin brake drums. A fully recirculating high pressure fuel system is fitted with a pressure regulator and pressure gauge. 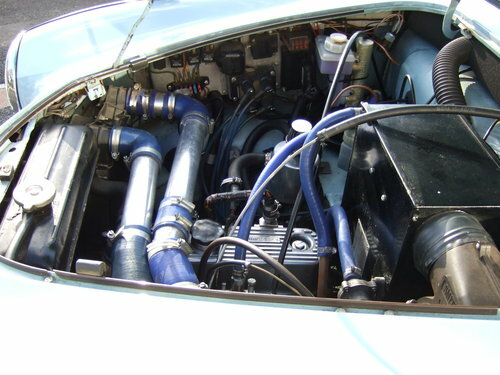 Many of the engine hoses have been replaced with silicone and the radiator has been re-cored and is fitted with an independently switched electric fan, an engine oil cooler has also been fitted. In my ownership I have fitted light weight forged 1.5 ratio rockers with new rockers posts and shaft, a new non stretch duplex timing chain and custom built exhaust system. In addition the battery is mounted in the boot and the engine and gearbox lowered in the car to keep the centre of gravity low as possible. 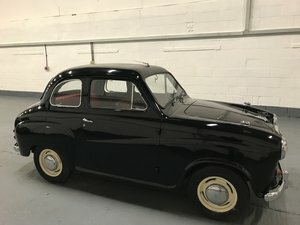 This is a 4 owner car which, as far as I am aware is structurally almost completely original only having had two small areas of welding carried out in its life time. It retains its original sills, both inner and outer as well as the A and B posts. All the chrome is in very good order as are most of the window rubbers, the car is also fitted with a laminated screen and a properly louvered bonnet. 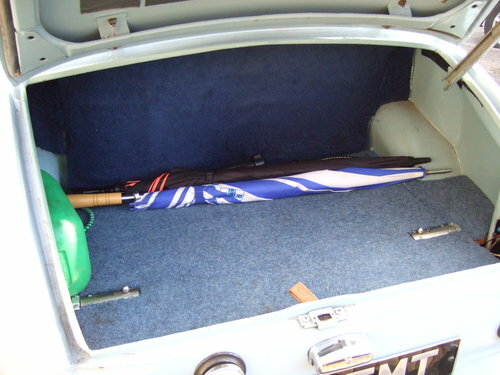 The interior is comfortable having been fitted with Metro front seats and an MG midget dashboard with full instrumentation including air fuel ratio and boost gauges, the car also benefits from a new head lining, new Wipac Quadoptic head lamps with uprated bulbs and new top quality wiper arms and blades. Included in the history file are print outs from a rolling road session showing that it produced 140 bhp at 10 psi boost, the car currently runs 16 psi boost, my estimation is that at this level of boost the engine produces 150+ bhp. The car starts first time every time whether hot or cold and on a fast run will return just under 40 mpg. 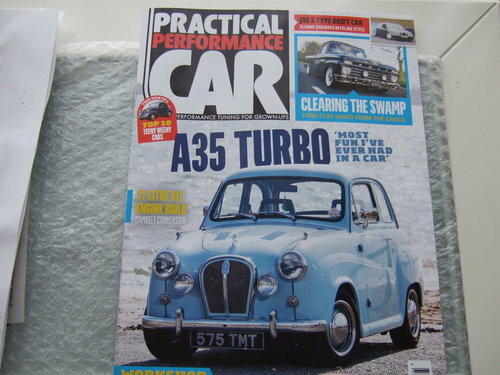 This years return from the Goodwood Members meeting produced a fuel consumption of just over 55 mpg!. The engine never overheats, is completely un-temperamental and uses very little oil as well as displaying good oil pressure even on prolonged high speed runs. 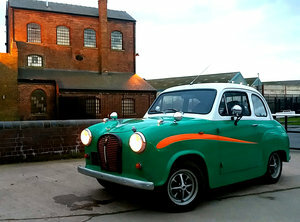 This car retains steel wheels with chrome rim embellishers and standard hub caps with 165/65 R 13 77T tyres which are almost new. 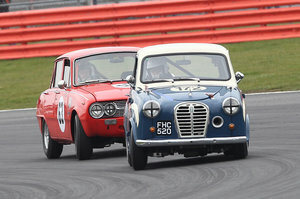 This car drives very well indeed and benefits from a MK2 Austin A40 steering box. The steering is more precise than most vehicles of this type and it is able to cruise at high speed with a reasonable ride and steering precision even taking into account the stiff front springs. I have print outs from various drag strip runs with the quickest 1/4 mile sprint of 15.9 seconds with a terminal speed of 91 mph, not bad for a car almost 60 years old. On the road the cars turn of speed surprises many. The engine produces usable boost from around 2200 rpm and its acceleration in any gear is particularly strong. I have a stack of history with thousands of pounds worth of receipts and information regarding the development of the car. I also have the original buff log book which, including the new style V5c shows 4 previous keepers since new. 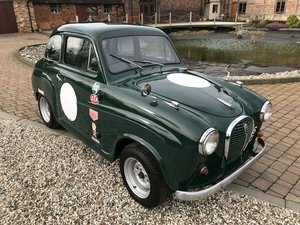 This is a great car for events such as Goodwood or even as a competition car which the previous owner used it for on occasions, it turns heads wherever it goes.